Author Catherine Coulter has written a series of suspense thrillers about continuing characters Special Agents Lacey Sherlock & Dillon Savich who are not only partners in their FBI roles as agents and computer specialists, but are partners in private life. This husband & wife team has given readers & fans exciting adventures since being introduced in the first book of the series (The Cove) in 1996. I've followed Dillon & Lacey (who goes by Sherlock) through all 21 books (to date) as they meet during training at Quantico, fall in love, and get married. They work together as a married couple FBI team (most unusual and probably would only happen in fiction) solving crimes, and, as the series continues, become parents to the light of their life ~ their son Sean. 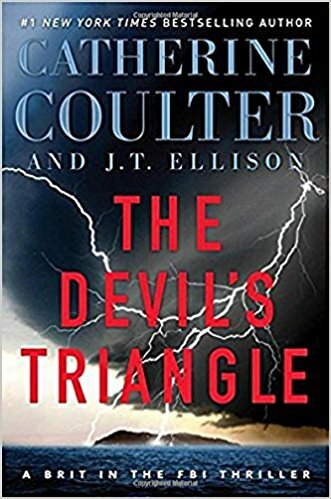 With The Final Cut, Coulter (and co-author J.T. Ellison) introduces us to what has fast become another favorite character and series. Nicholas Drummond, American-born chief inspector at Scotland Yard, comes to America and joins Dillon & Sherlock to solve an international crime. The first book in a brilliant new international thriller series starring that 'Brit in the FBI', handsome Nicholas Drummond, a dashing 'James Bond' type. In The Final Cut, our favorite team joins Nicholas Drummond in his search for an international jewel thief (The Fox) who has stolen the Koh-i-Noor diamond, currently a centerpiece of the Queen Mother's Crown displayed at the Tower of London. 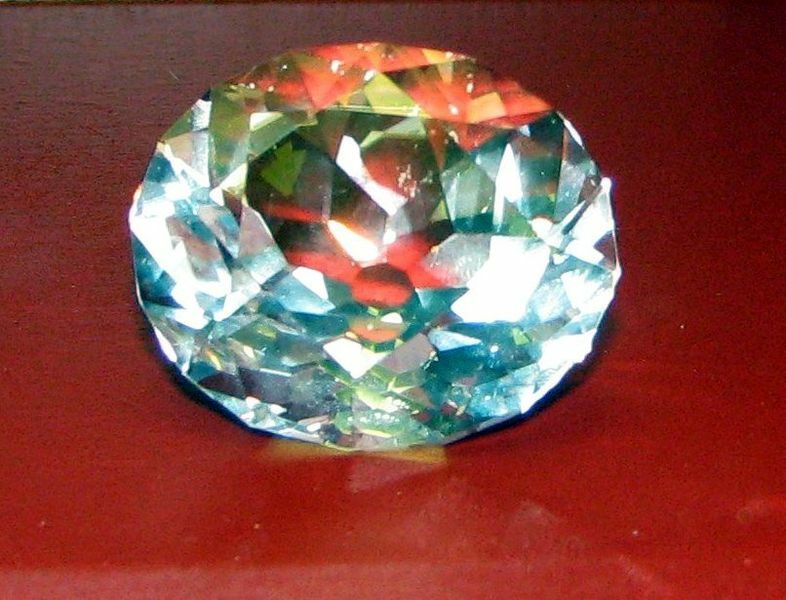 The diamond was on loan for a special exhibit at the Metropolitan Museum of Art in New York City and, while heavily guarded, was snatched through a clever plot. Scotland Yard and the FBI combine to chase the jewel thief from New York to Paris to recover the diamond. We learn of the diamond's long, complicated history, which once weighed an incredible 793 carets and was once the world's largest diamond and how it passed from hand to hand (perhaps beginning with the great god Krishna) ~ always coveted, but never bought or sold, only gained through conquest. The title 'Final Cut' refers to the last time the diamond was cut. The diamond is real -- this story about the theft of the stone is fiction. Blended together, the facts & fiction make a very good story. Introducing the character Nicholas Drummond to us through a set of favorite characters we already love is a unique and clever twist by an author – we fans of one series are easily led to meet a new (and delightful) permanent character. And judging by the fact that the second and third Nicholas Drummond books have already been published, us readers know that a new Catherine Coulter series has now begun. In this interview with Catherine Coulter, the author tells us how she found her co-author, J.T. Ellison, and about how they joined up to write The Final Cut. 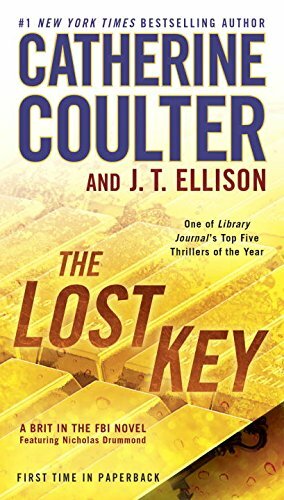 Published in September 2014, The Lost Key is the 2nd book in the new Coulter series starring that 'Brit in the FBI', Nicholas Drummond! With help from his partner, Mike Caine, they are in an eleventh-hour race to stop a madman from finding a cache of lost World War I gold—and a weapon the world has never seen. I've already read this book as well. As I write this review of the first book in the Nicholas Drummond series, I have just finished reading the third book in the series, The End Game. My original favorite characters (Dillon Savich and Lacey Sherlock) join Drummond, along with the CIA, the Secret Service, and Mosssad as they move to defeat remarkable enemies. Nicholas Drummond (the Brit in the FBI) and his partner Michaela Caine are now part of the Covert Eyes team. But their first case with the team may be their last when they once again come up against the dangerous thief known as the Fox. As you can see in the photo above, I'm a big fan of the Mystery Genre. 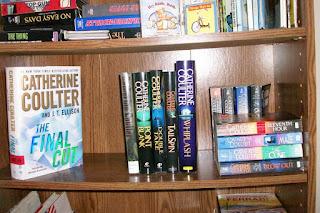 I collect entire series of favorite authors, such as Catherine Coulter. Are you a fan of Catherine Coulter's books? 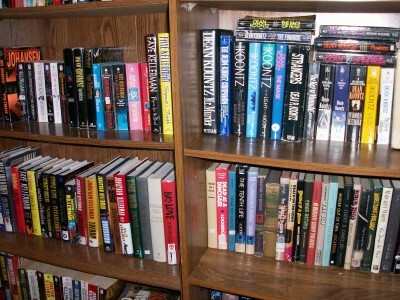 Have you read the FBI Thriller series with Special Agents Savich & Sherlock? Come meet a new character - Nicholas Drummond, the Brit in the FBI. *(c) Wednesday Elf. Review originally written on 2/20/16. Updated on 1/4/2018. 19 books, Wow! That really is a long series. I bet you hated to see the Dillon & Lacey series end, even if they did introduce you to a new book series. I am just guessing here, but it sounds like I would need to start with "The Cove" to really get to know the characters well. I was just wondering if I would feel I was missing something if I started the new series first. Plus, for me, I think I would enjoy the romance part of the Dillon & Lacey team. Mouse, you wouldn't miss anything by reading the new series first as, even though Dillon & Sherlock appear in this series, they are background characters to that British 'hunk' Nicholas Drummond with the main part of the stories focused on him and what he's doing. The Dillon Savich/Lacey Sherlock series didn't end with this new series -- Catherine Coulter continues with this FBI thriller series, the latest book starring the husband/wife team being "Nemesis". Ooooh, cool! I just made the assumption that the author was transitioning to a new series. How awesome that you (we) would have two continuing series of books to read. Even better, for sure!